We had a pretty mellow weekend of ski patrolling on Mt. 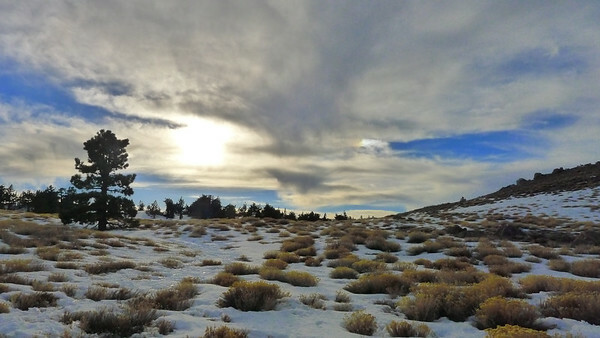 Pinos this past President's day weekend (Feb 16-17, 2013). Saturday morning was cold and blustery, but then the weather warmed up and we had sunny weather in the 40s for the rest of the day and on Sunday. Snow depths are 0-6in with more snow in some places off trail. 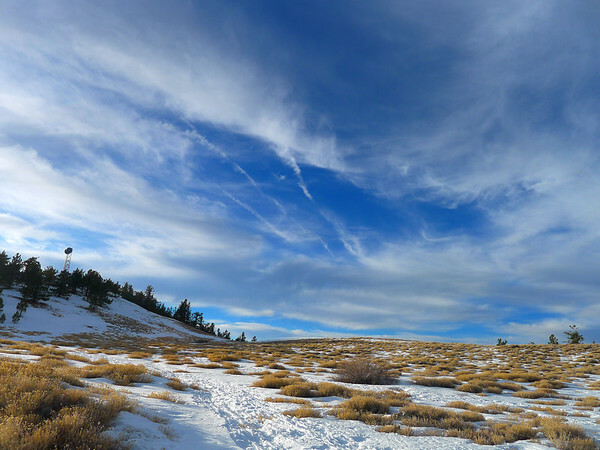 There was 90% coverage on the trail to Condor summit, with some bare spots along the way. I hope the storm this week will bring some much needed snow.